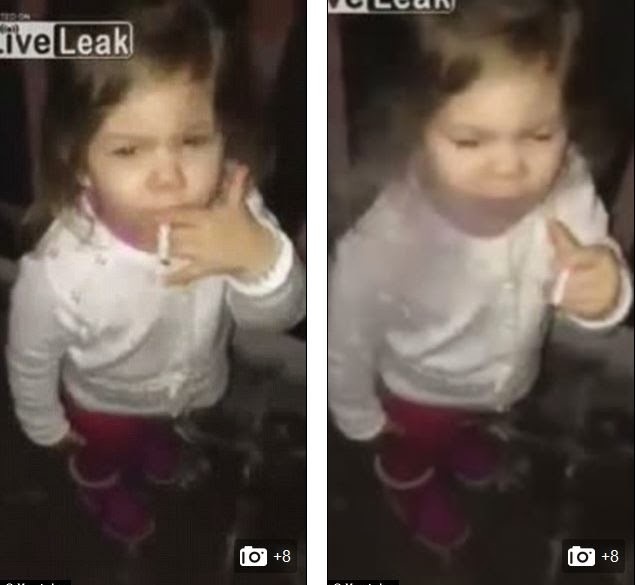 Shocking Footage Of Toddler Girl Smoking A Cigarette Sparks Outrage! Footage has emerged which shows a toddler appearing to smoke a real cigarette. And in the video, the young girl, aged about two or three, puts the cigarette into her mouth and inhales several times before breathing out dark smoke. ‘Must originate from her sick parents or siblings. Persons under 18 are not allowed to either sell or purchase tobacco in Finland. ← P Diddy Proposes To Longtime Girlfriend, Cassie, On Instagram?